The Windows 10 October update is out now and it also includes the official release of DXR, the new DirectX Raytracing API developed by Microsoft. According to the Windows company, this is one of the fastest adopted features they’ve released in recent years. They also expect raytracing to help games fully cross the ‘uncanny valley’ phenomenon thanks to the much more realistic lighting. Furthermore, a new public low-level API called DirectML (due in Spring 2019) is going to allow developers to integrate inferencing into their games. Microsoft expects this API to play a ‘huge’ role in making raytraced games mainstream through techniques such as super-resolution and denoising while using fewer rays per pixel. Everything is ready for the debut of raytraced games, then. There’s no word yet on the Shadow of the Tomb Raider patch (due to add Ray Traced Shadows to Lara Croft’s latest adventure), but Battlefield V is now scheduled for November 20th and expected to deliver NVIDIA RTX powered reflections at launch. We’ve worked for many years to make Windows the best platform for PC Gaming and believe that DirectX Raytracing is a major leap forward for gamers on our platform. We built DirectX Raytracing with ubiquity in mind: it’s an API that was built to work across hardware from all vendors. 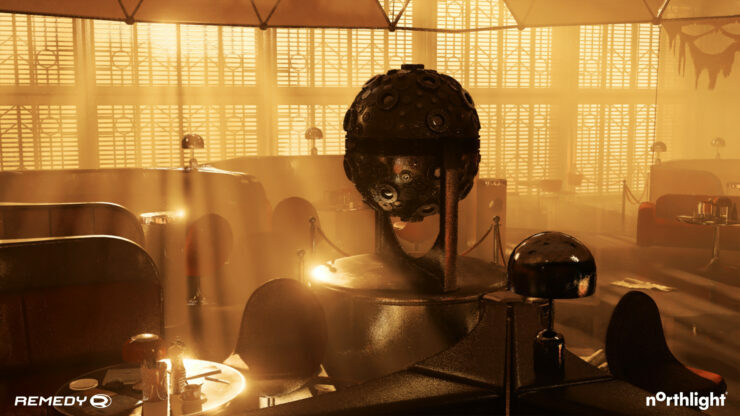 Real-time raytracing is often quoted as being the holy grail of graphics and it’s a key part of a decades-long dream to achieve realism in games. Today marks a key milestone in making this dream a reality: gamers now have access to both the OS and hardware to support real-time raytracing in games. With the first few titles powered by DirectX Raytracing just around the corner, we’re about to take the first step into a raytraced future. What does this mean for gaming? DirectX Raytracing allows games to achieve a level of realism unachievable by traditional rasterization. This is because raytracing excels in areas where traditional rasterization is lacking, such as reflections, shadows and ambient occlusion. We specifically designed our raytracing API to be used alongside rasterization-based game pipelines and for developers to be able to integrate DirectX Raytracing support into their existing engines, without the need to rebuild their game engines from the ground up. The difference that raytracing makes to a game is immediately apparent and this is something that the industry recognizes: DXR is one of the fastest adopted features that we’ve released in recent years. We’re still in the early days of DirectX Raytracing and are excited not just about the specific effects that have already been implemented using our API, but also about the road ahead. DirectX Raytracing is well-suited to take advantage of today’s trends: we expect DXR to open an entirely new class of techniques and revolutionize the graphics industry. Hardware has become increasingly more flexible and general-purpose over the past decade: with the same TFLOPs today’s GPU can do more and we only expect this trend to continue. We designed DirectX Raytracing with this in mind: by representing DXR as a compute-like workload, without complex state, we believe that the API is future-proof and well-aligned with the future evolution of GPUs: DXR workloads will fit naturally into the GPU pipelines of tomorrow. DirectX Raytracing benefits not only from advances in hardware becoming more general-purpose, but also from advances in software. In addition to the progress we’ve made with DirectX Raytracing, we recently announced a new public API, DirectML, which will allow game developers to integrate inferencing into their games with a low-level API. To hear more about this technology, releasing in Spring 2019, check out our SIGGRAPH talk. ML techniques such as denoising and super-resolution will allow hardware to achieve impressive raytraced effects with fewer rays per pixel. We expect DirectML to play a large role in making raytracing more mainstream. Developers in the future will be able to spend less time with expensive pre-computations generating custom lightmaps, shadow maps and ambient occlusion maps for each asset. Realism will be easier to achieve for game engines: accurate shadows, lighting, reflections and ambient occlusion are a natural consequence of raytracing and don’t require extensive work refining and iterating on complicated scene-specific shaders. EA’s SEED division, the folks who made the PICA PICA demo, offer a glimpse of what this might look like: they were able to achieve an extraordinarily high level of visual quality with only three artists on their team! We expect the impact of widespread DirectX Raytracing in games to be beyond achieving specific effects and helping developers make their games faster. The human brain is hardwired to detect realism and is especially sensitive to realism when looking at representations of people: we can intuitively feel when a character in a game looks and feels “right”, and much of this depends on accurate lighting. When a character gets really close to looking as a real human should, but slightly misses the mark, it becomes unnerving to look at. This effect is known as the uncanny valley. Because true-to-life lighting is a natural consequence of raytracing, DirectX Raytracing will allow games to get much closer to crossing the uncanny valley, allowing developers to blur the line between the real and the fake. Games that fully cross the uncanny valley will give gamers total immersion in their virtual environments and interactions with in-game characters. Simply put, DXR will make games much more believable.